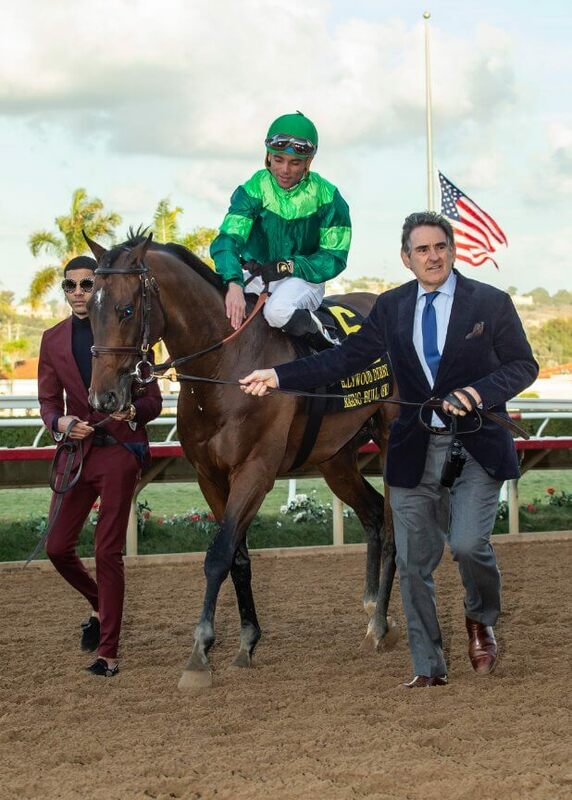 Raging Bull, purchased as a yearling from the historic Wildenstein Dispersal at Goffs Orby in 2016, landed the Grade 1 Hollywood Derby at Del Mar on Saturday for owner Peter Brant. Trained by Chad Brown, the three year old son of Dark Angel unleashed some serious acceleration after turning for home, getting up in the final strides to earn his first top level win. This followed Grade 2 and 3 successes at Saratoga in August and September for Raging Bull who was bought by E Columbo Agency for €90,000 at the Orby Sale as part of the Wildenstein Stables Ltd Dispersal from The Castlebridge Consignment. View pedigree here.